The holidays are one of the few times when we still pull out the old family albums and childhood videos to share with the people we love. As long as they're out, it's also a good time to work on digitizing those memories—not just to protect the originals, but to share them on Facebook, Instagram, or sites like Picasa or Snapfish. Once digitized, you can even use the images to create new albums or other gifts. You could outsource that work to a service, but you may already have most of the gear to do it yourself—and what you don’t have is pretty easy and affordable to get. Here’s everything you need to convert your old media into modern digital files and then prepare them for sharing with your friends and family. Scanner technology has changed little over the years, so any scanner or multifunction printer (which has an integrated scanner) purchased even five or more years ago should be more than adequate for the job of converting your old photos. Just be sure it has a flatbed scanning surface, rather than a sheetfeeder that pulls media through a slot. 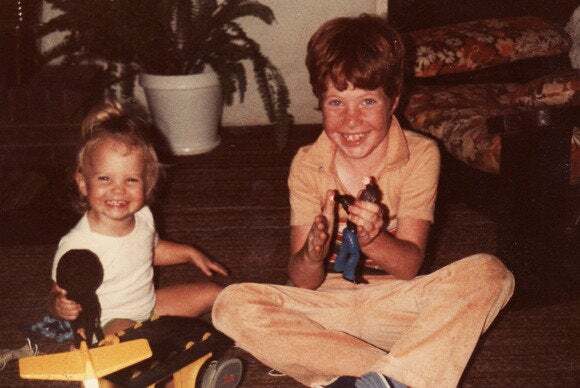 Old pictures tend to suffer from warps, small tears, and surface blemishes that could cause a sheetfed scanner to jam—or worse, destroy the print. 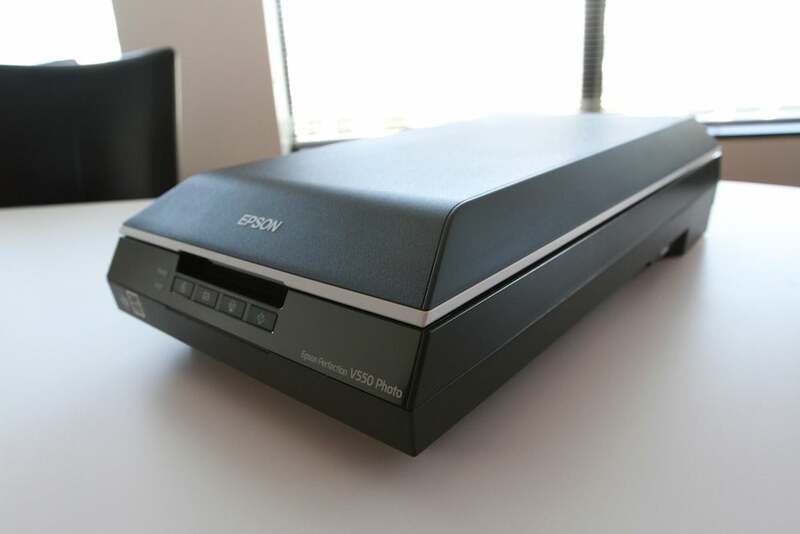 The Epson Perfection V550 can digitize slides and negatives as well as photos. If you don’t yet have a scanner, our buying guide will help you find a good model for your needs. To scan formats that your existing scanner doesn’t support (such as slides and negatives), the Epson Perfection V550 is an excellent choice for about $150. The HP Envy 120 can scan regular photos (but not slides or negatives), and it looks stylish in your entertainment center. The overarching rule of scanning old photos echoes the Hippocratic Oath: Do no harm. After you’ve digitized the originals, safeguard them in a high-quality, acid-free archival box—and that would mean, not a shoebox. Scanners tend to be slow, and scanning software tends to take over your PC while it’s active. Here are my two favorite tips for minimizing frustration and tedium while scanning photos. First, take advantage of the features in your scanner’s driver software, which will most likely offer a way to differentiate and automatically separate multiple photos during the scanning process. This will let you place as many images as possible onto the scanning surface with each pass, saving you a lot of time. Second, choose the scanning resolution wisely. While you could use the highest resolution your scanner offers (for most these days, it’s 9600 or 19,200 dots per inch), the scan will take forever—or possibly cause your PC to slow to a crawl—and the result will be a really huge file. For a typical snapshot, a scan at 300 dpi will suffice. That doesn’t sound like much, but if you try a scan at the next step up, usually 600 dpi, you’ll likely not see a visible difference—we haven't, over our many years of conducting scanning tests. Save the highest resolutions for very small photos that you might want to scale up to a larger size. When it comes to heirloom photos, good photo-editing software will make all the difference in the final digitized product. You don’t need a full-blown copy of Photoshop, but neither should you entrust your precious memories to iPhoto or Windows’ built-in Photos app. For $100, Adobe Photoshop Elements 12 offers tremendous editing power in an app that’s easy enough for amateurs to learn quickly. For Windows or Mac, it’s the best all-around choice for home photo editing. Old snapshots often suffer from terrible underexposure, making them look dark and grainy. Here’s a guide that shows you how to salvage an underexposed photo. If your subjects aren’t looking their best in an otherwise priceless shot, try these tricks for touching up portraits. The Pinnacle Dazzle Platinum HD works with Windows PCs to convert analog videos to digital form. You will need a working video player or camera capable of playing back the original format. Once you have a working player, you’ll need a digital video converter to connect it to your PC. The Pinnacle Dazzle Platinum HD is an excellent choice for Windows users. For the Mac, the $80 Roxio Easy-VHS-to-DVD is a great option. 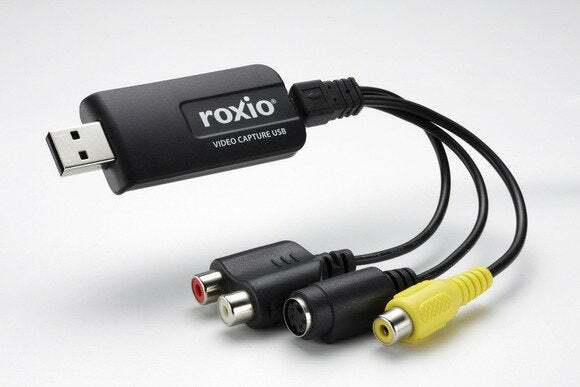 While their primary purpose is to convert VHS tapes to digital formats, these products work just as well with any kind of player that can connect via a composite video cable. Depending on what you plan to do with the converted video, compression can be an important consideration. If your goal is to preserve the video indefinitely, you’ll want to convert it with no compression at all. This will minimize digital artifacts, and you’ll have a great starting point should you choose to share the video in other formats later on. Just be aware that importing an uncompressed movie requires a lot of storage space. If you do choose to compress your video, go for the least-destructive encoding format you can get away with. MP4 is a very good choice for most purposes, offering high image and audio quality with relatively few artifacts. Chances are, if you’re importing an old VHS or Super 8 video, the artifacts you’ll get from the MP4 encoding won’t be nearly as noticeable as those introduced by the original tape media the video came from. For Mac users, the Roxio Easy-VHS-to-DVD is a good analog-to-digital converter. Converting old videos and photos to digital form lets you share them online, print them, burn them to discs to give as gifts, or just curl up with your tablet by the fire and relive the good old days. It’ll be interesting to see what we’ll do with the new generation of family memories—trapped on phones, posted to one social site but not another, or stashed on a hard drive. Maybe put them in an album?